Last time, the Youtube reviewer RIP Trippers brings us the COIL-LESS Vape that is Joyetech Atopack Magic Pod System. Does the Joyetech Atopack Magic Pod Starter Kit bring you great flavor? Today, ElegoMall show you another good coil-less starter kit that is UNSONICIG ZIP 2 in 1 Kit. The UNSONICIG ZIP Pod Starter Kit is specially designed for nicotine salts and OIL Vaping. Let us find some details about it. 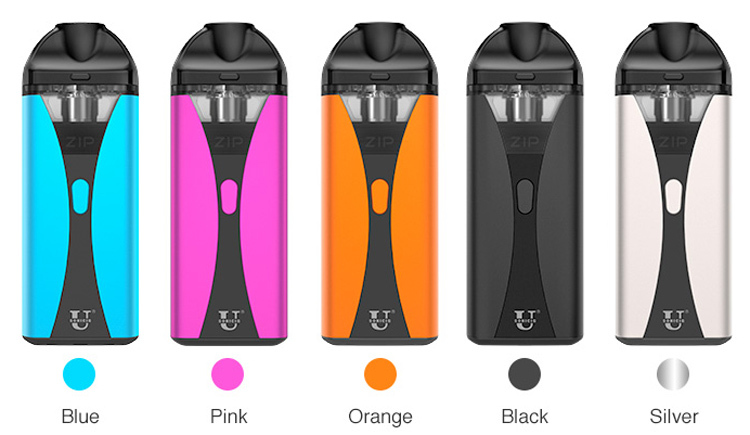 USONICIG ZIP 2 in 1 Kit adopts coil-less Ultrasonic Chip technology, so it expands the lifespan to about 5000 puffs. USONICIG ZIP Pod Starter Kit has a higher vibration frequency and new liquid supply system that produces smaller aerosol particles. In this way, ZIP Kit leads you to a pure flavorful journey, exceeding your expectations on nic-salts enjoyment. Powered by 1200mAh Built-in battery, no coil, never burnt, just simply assure you an intense and original taste from liquids, allowing you a no-mess relaxing vape time. The USONICIG ZIP 2 in 1 Kit has the Top-Rotate Filling(TRF) system that makes refill easier than before. The Usonicig Zip Pod also comes with child lock safe mechanism and various battery protections. What do you think of the USONICIG ZIP 2 in 1 Kit? Is it a convenient simple starter kit for your vaping?